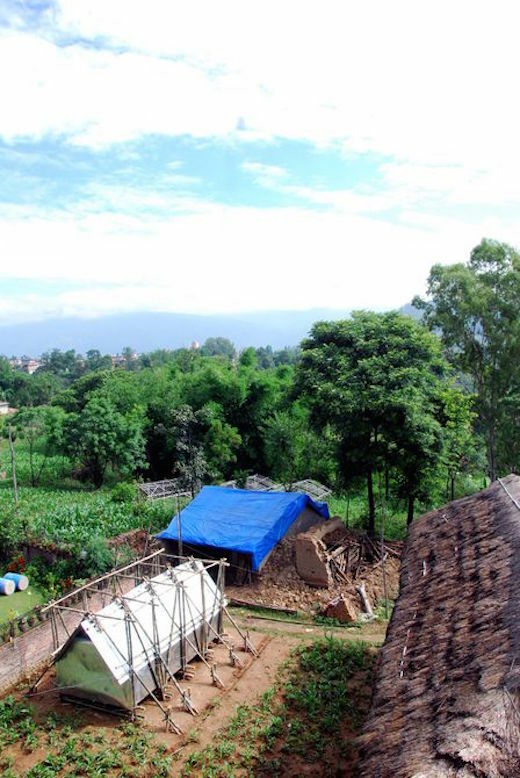 The Temporary Shelter in Nepal project was established following the devastating earthquake in Nepal earlier this year. 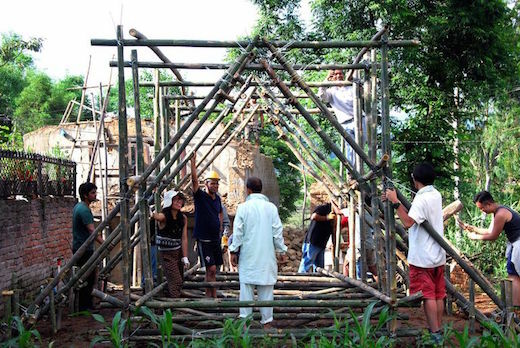 Architects Charles Lai and Takehiko Suzuki founded the architectural relief organization called Architecture for the Mass and worked with One Village Focus Funds of Hong Kong charity organization to get the financial backing for the relief efforts. 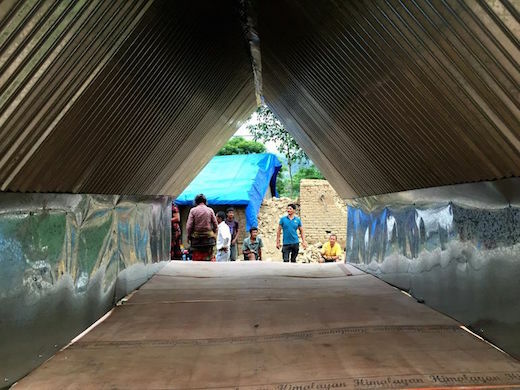 They quickly realized that one of the greatest challenges faced by the Nepalese people was a poor transport infrastructure, which made it nearly impossible to get the necessary shelters to them. 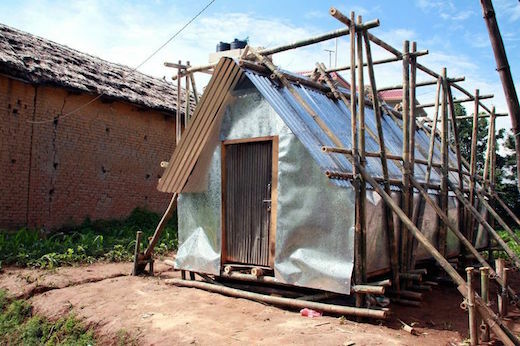 That is why they designed this simple shelter, which can easily be built by practically anyone. 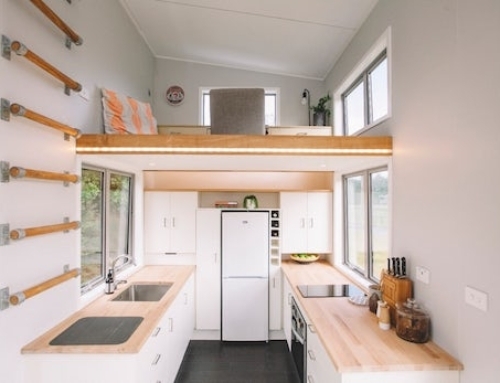 The Temporary Shelter has a floorspace of 193 sq (18 sq m) and is made up of a single large interior space. 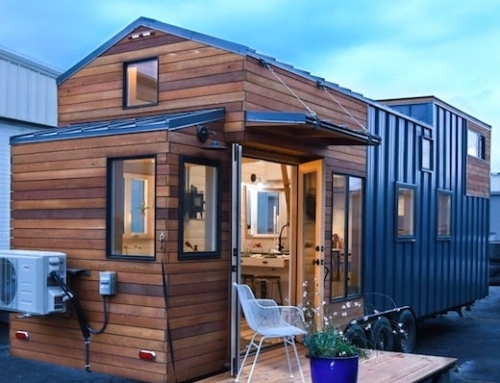 There are no utilities beyond that. 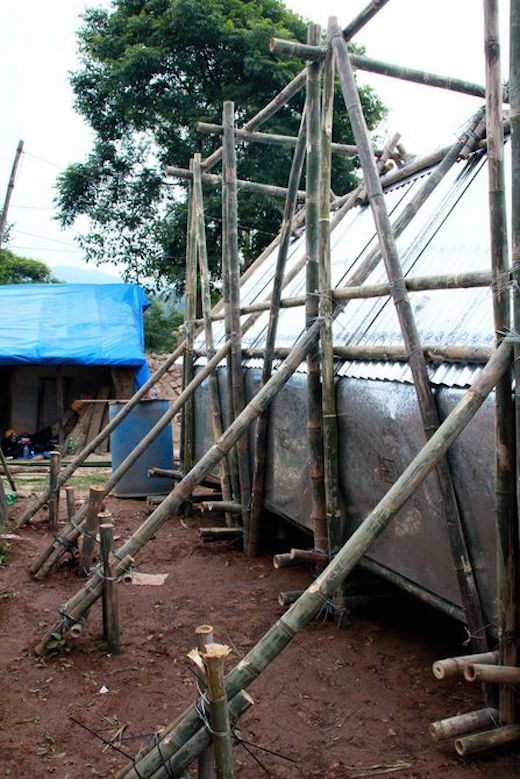 The shelter features a sloped roof, which allows the rainwater to run off, and the floor is raised off the ground on a platform. 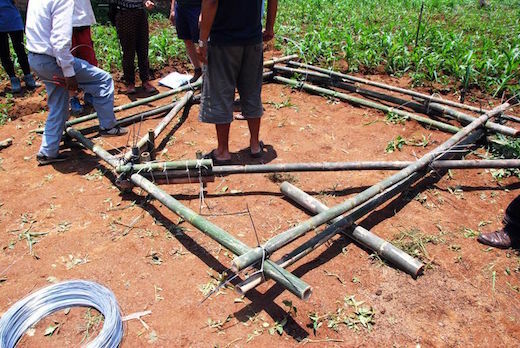 The shelter features a simple bamboo-based framework which his easy to replicate. 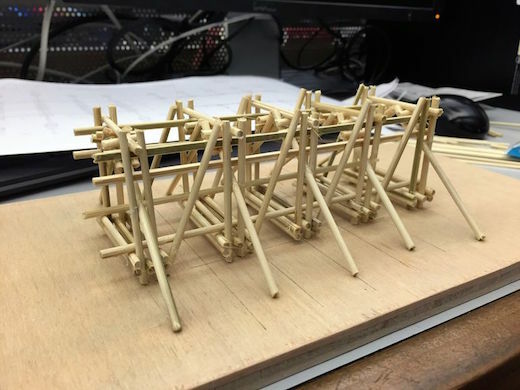 It cost about $500 to build the pictured prototype and the process took two days. 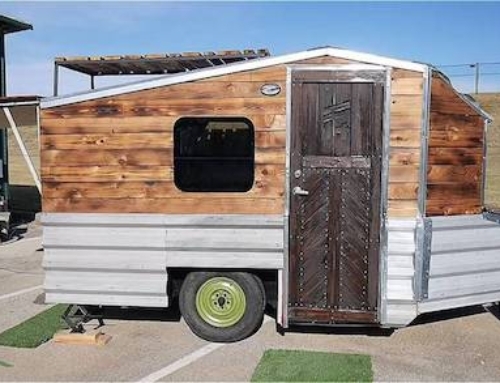 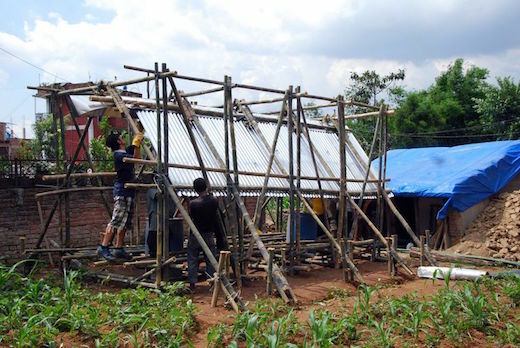 They built it using metal sheets and timber, which they salvaged from damaged and destroyed houses. 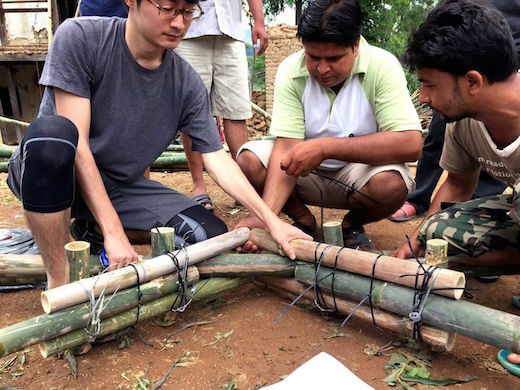 The best part about the Temporary Shelter in Nepal is that Lai and Suzuki created a simple manual, which will aid the locals in building their own similar shelters. 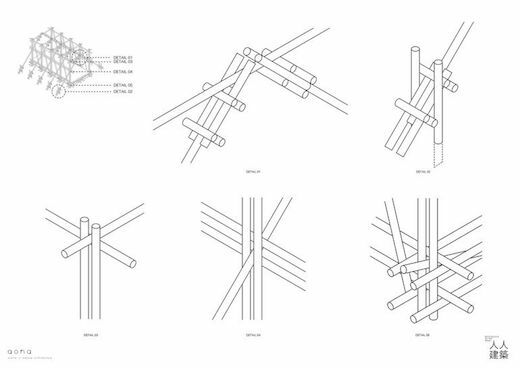 This manual is freely available and according to the two architects can be followed by anyone, even unskilled workers. 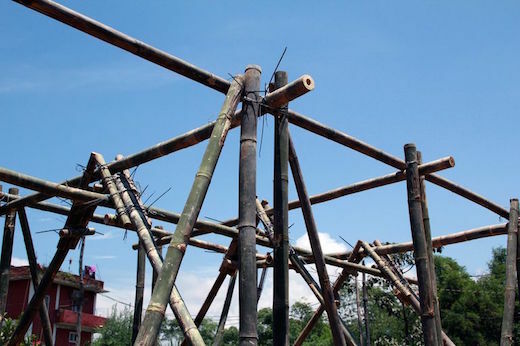 The needed bamboo is abundant in the area, and workers can salvage whatever cladding they need. 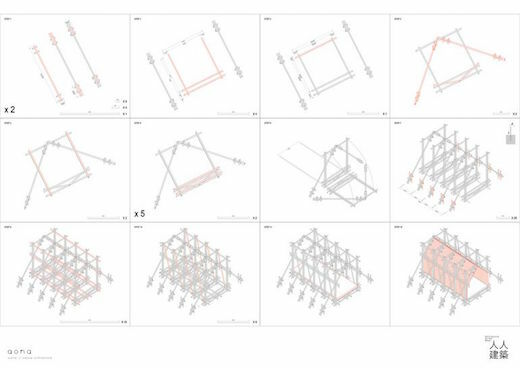 The designs, which are freely available online or can be distributed on paper, can also be scaled up or down as needed, to create homes, community centers, nurseries, clinics and more.